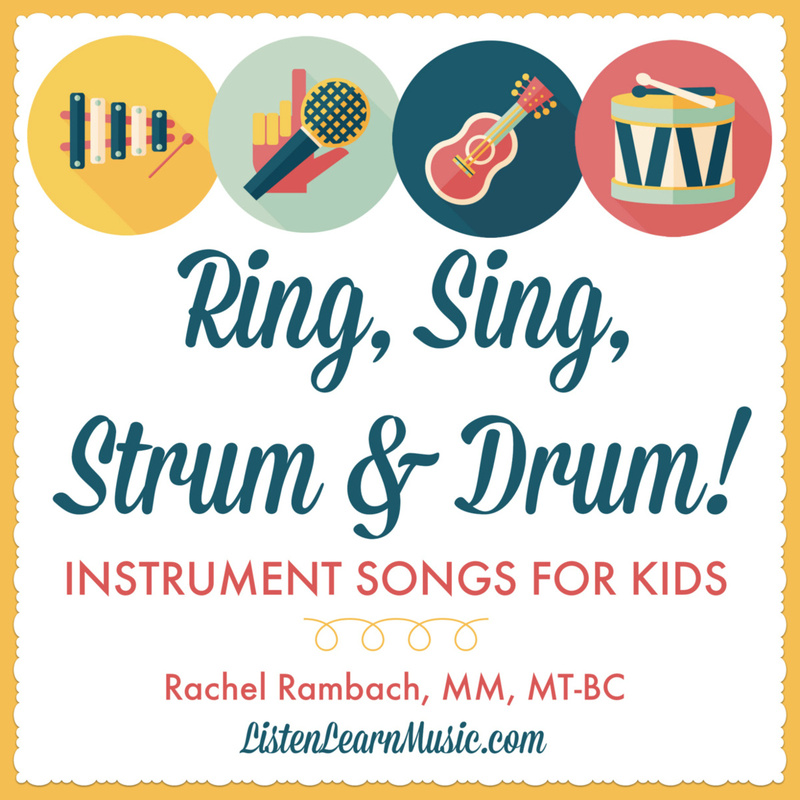 Download the lyrics, mp3 and instrumental track for “H-E-L-L-O” written and recorded by Rachel Rambach, a board-certified music therapist and singer/songwriter. Just about all of my music therapy sessions, groups and music classes start with a hello song, but you know me…I’m all about making my songs serve double-duty! Not only does “H-E-L-L-O” help my students transition to music, but it also targets on pre-reading skills such as identifying and naming letters as well as spelling. Pair this with written visuals or even consider using it as an opportunity to work on writing skills. Ring, Sing, Strum & Drum!